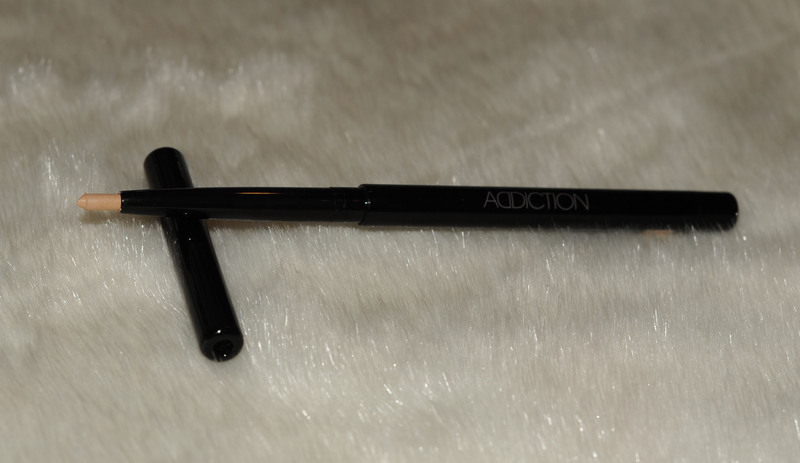 I have hesitated a very long time before ordering this eyeliner from Kose Addiction and I am happy I decided to finally get it. My make up routine involves a beige cream liner, every single day. On a daily basis I use it for contouring my lips, in a very light and extremely blended application, you can not even see it but it’s there. First step I contour my lips (outer line) with a beige liner, blend to an almost invisible line, then apply a dark lipliner closer to the lips and blend inwards, then I use another neutral lipliner to fill the lips… It sounds like a heavy routine but it takes me a few seconds only. 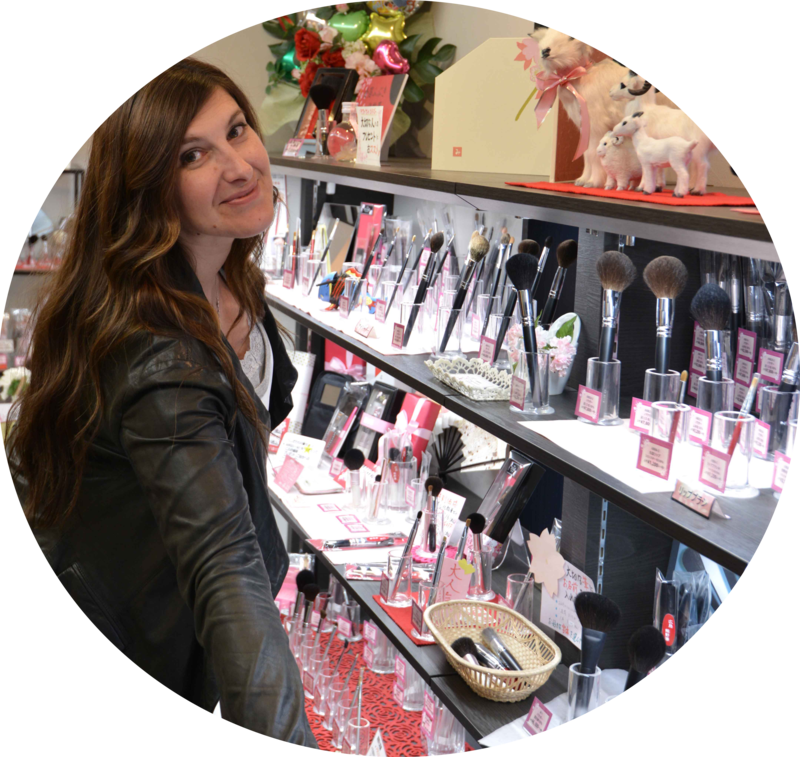 When this combined lipliner base is applied, my lips look defined, younger, full, and the lipstick lasts a very long time, even when the lipstick is gone, the base remains visible throughout the day. I started using the Cargo liner a few years ago, then I upgraded to the Mac, then the Nars, and recently I just got the Chanel and the Addiction. The Cargo has become a bit dry and difficult to blend. The Mac is still nice but not as luminous as the Addiction and it does not last. The Nars is very good, easy to blend, lasts a good amount of time but the Chanel and the Addiction are much better in texture and lasting power. The Chanel is a very beautiful flesh tone beige, very long lasting, great formula, also safe for the inner rim. 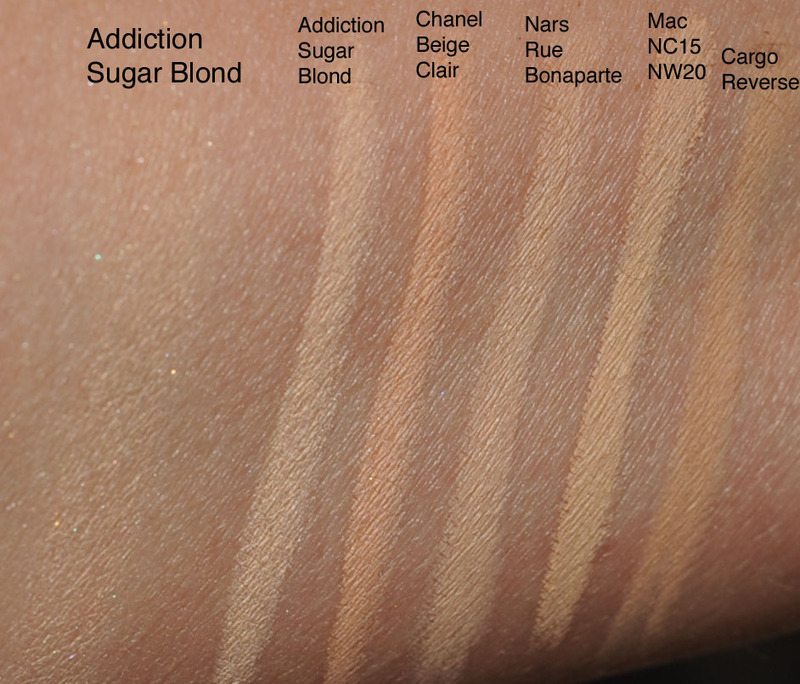 The Addiction Sugar Blond is lighter than the Chanel Beige Clair, when blended it’s more transparent and leaves an ivory-beige subtle shine. Perfect for highlighting the inner eye area, and just the best for contouring the lips. I don’t know if this is safe for the waterline and I cannot find this info anywhere. I have used other shades like Rabbit Hole in the waterline and it was allright. The Addiction will not go away, either in a thick line or blended, it will stay put all day, it will not flake or fade. 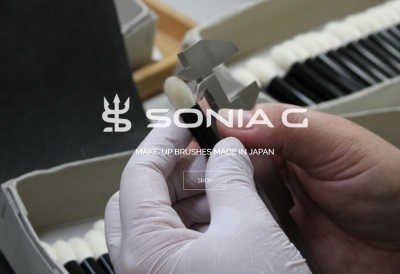 Kose Addiction – Eyeliner in 02 Sugar Blond – HG Alert was last modified: July 12th, 2012 by Sonia G. Arggghhh!! I was sooooo closed in getting this one but didn’t.. Sigh.. I am trying quite a few things lately and I am glad all showing positive results. Love my RMK Mix Colors for cheeks in 02 Coral. It lasts a good 14 hours despite me running about in hot and humid weather. Was also trying Kanebo Lunasol’s Lunasol Skin Modeling Liquid Foundation (which is a Spring renewal formula) for the past 2 weeks and have been pretty happy with it. Oh yeah, with the Addiction cosmetics purchase, I was given some foundation, primer, and tinted moisturizer samples to try. Will let you know what I think later. Please let me know if you have anymore Addiction HG alert! Haha.. My sister’s friend is heading back to Japan and I will be seeing him again this year end so I am hoping for him to get me more products..
Oh, have you seen these? They look lovely and I love the piano black finish! Hi CC, I might post some eyeshadow swatches tomorrow, their eyeshadows are AMAZING ! I am so going to add this to my order! I use the Cargo pencil for this purpose (was recommended by a super good source). I had not tried the Chanel…. I think I will but definitely need the Addition (along with Rabbit Hole of course).